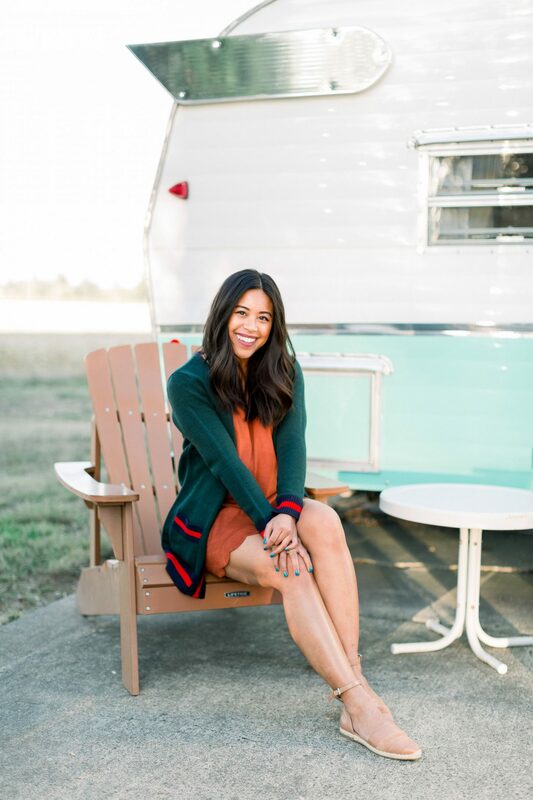 Have you ever visited the Willamette Valley and gone on a glamping trip? 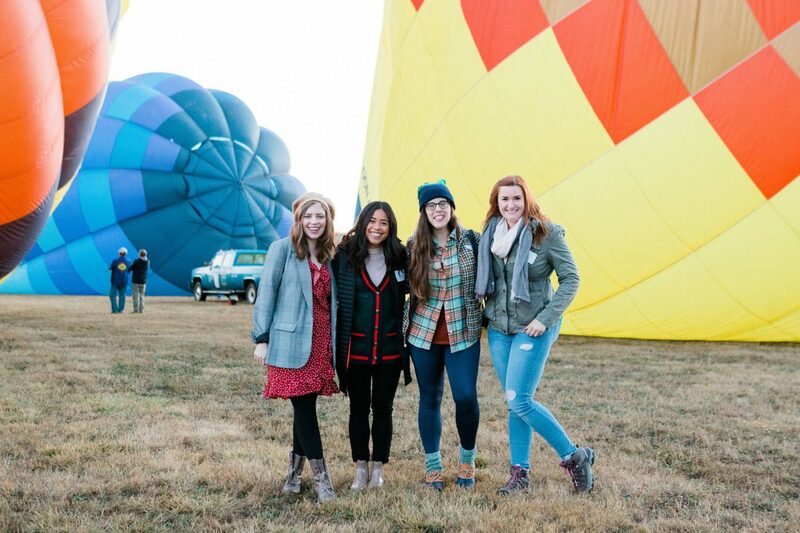 This past fall I went on my first glamping trip in the Willamette Valley with a group of Seattle bloggers. 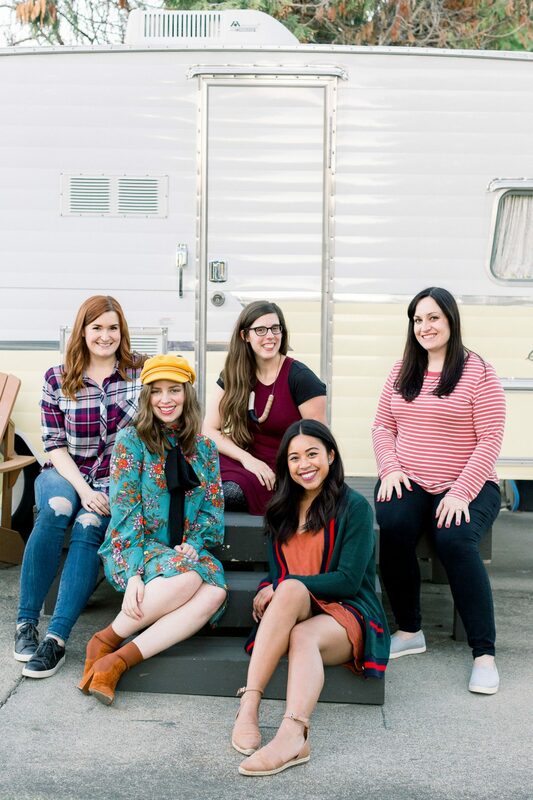 I was joined by Adria from @emeraldpalate, Jen from @hellorigby, Marissa from @postcardstoseattle, and Kate from @allthingskate. As someone who doesn’t camp much, I was excited to see what it was like to glamp and explore the Willamette Valley for the first time. 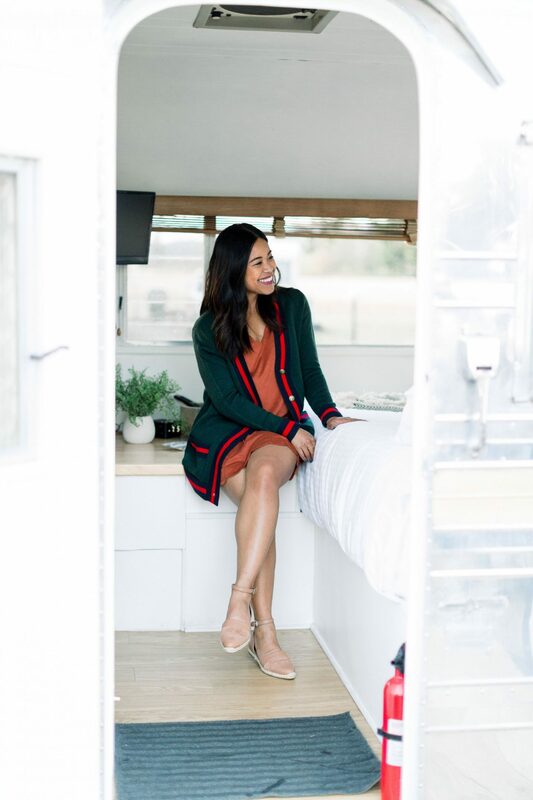 This blog post is for anyone who’s looking for a new place to explore in the Northwest as well as anyone who wants to plan a long weekend glamping with their girlfriends, significant other, or their families! 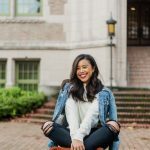 If you’re specifically looking for the best things to do in Oregon Wine Country or are thinking of planning a trip to the Willamette Valley, I hope this blog post also helps you! This blog post was made in collaboration by Travel Oregon & the Willamette Valley Oregon Wine Country and all my opinions are my own. Where is the Willamette Valley? The Willamette Valley is located about 60 miles south of Portland. The largest river Valley in Oregon is valley is home to over 500 wineries. With the help of the Willamette River and the temperate climate, the valley’s ideal environment produces plenty of Chardonnay, Pinot noir, and Pinot gris grapes. 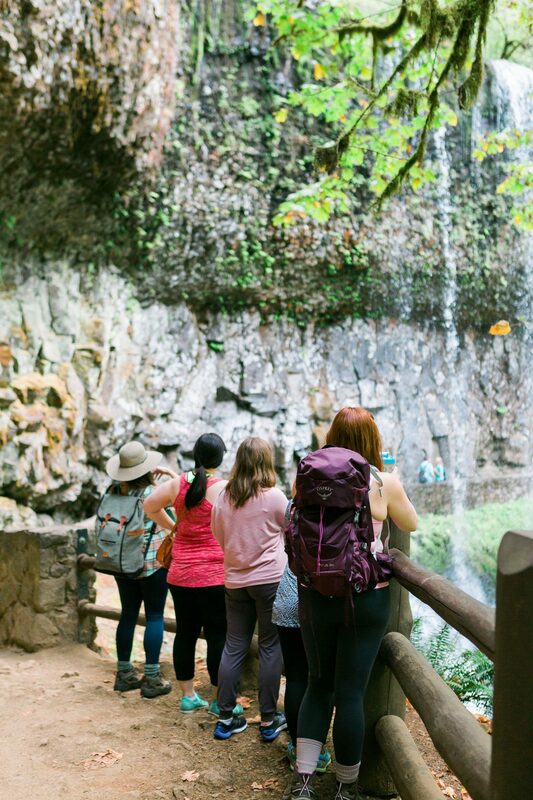 While the Willamette Valley is a wine lovers dream, there are plenty of other activities for your family and friends to go see and do. 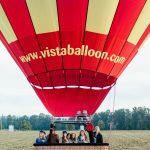 From incredible waterfall hikes to hot air balloons, the Willamette Valley has something for everybody. Why choose to glamp in the Willamette Valley? You like the extra comfort – like a full size bed and a heated space. You don’t want to prepare and pack up your car with camping essentials – you can just show up to your location and everything is set up for you already. 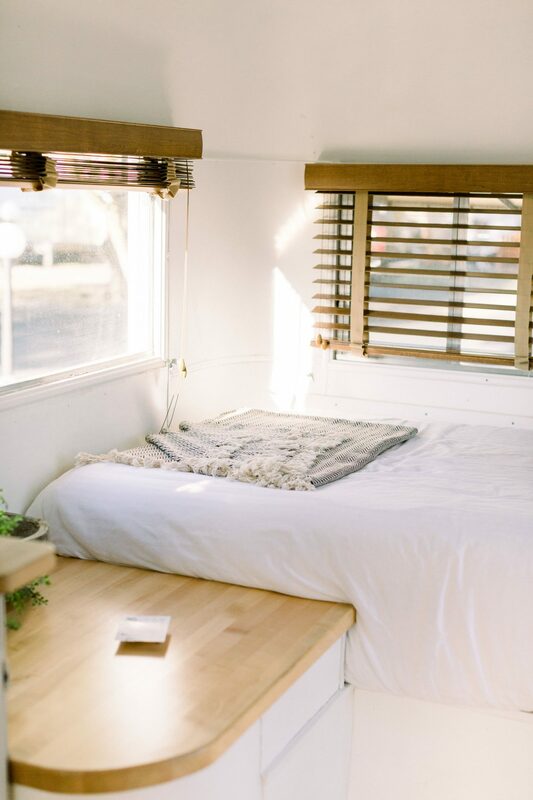 You want a unique space to stay in – like a restored air stream trailer or teepee! 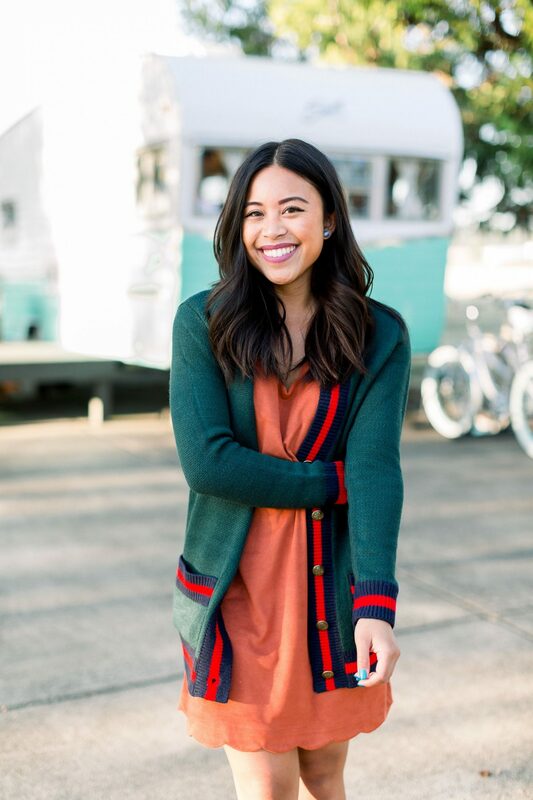 I literally checked off all of these things on my list so I knew glamping was definitely going to be for me! 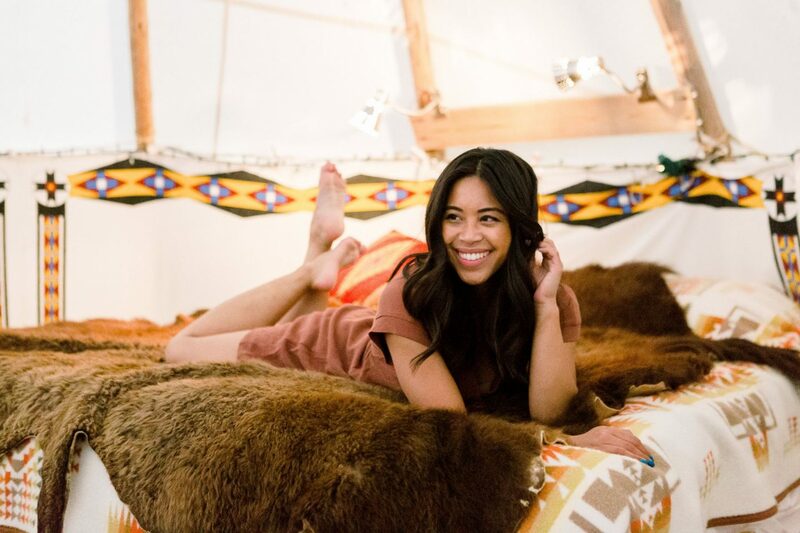 During our long weekend trip in the Willamette Valley, we stayed in The Vintages and the Tipi Village. 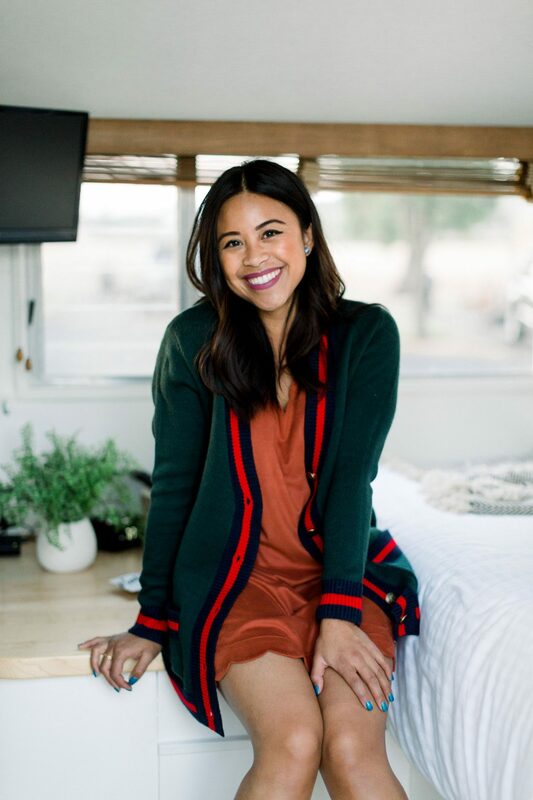 Have you ever stayed in a trailer? Personally, my first time staying in trailer was the first night of our Willamette Valley trip! The Vintages Trailer resort is located between McMinnville and Dundee, OR. This 14 acre RV park offers a unique lodging experience with a variety of colorful, trendy trailers. 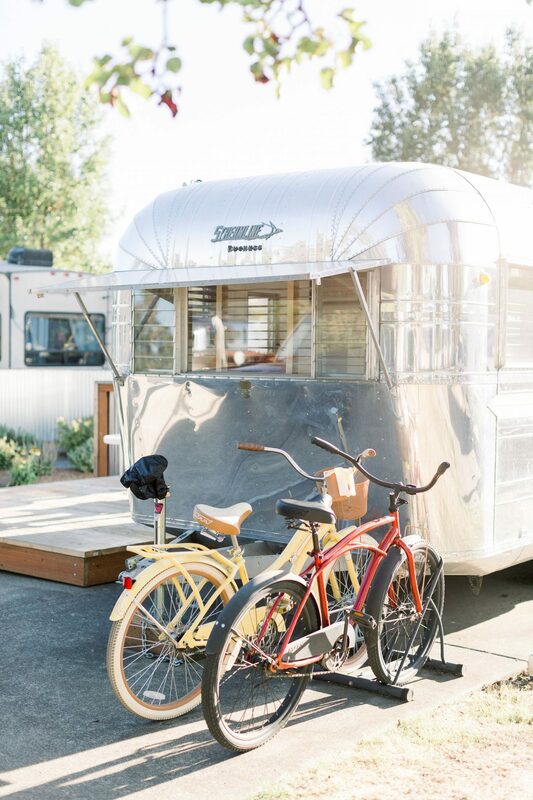 If you’ve always wanted to stay in a vintage air stream trailer, this Vintages is the place for you. The Vintages also has a pool, cruiser bikes, and propane grill for each trailer. Even though each trailer had its own bathroom, guests could choose to use the restroom and shower in the pool house. I loved how the Vintages were also dog friendly! 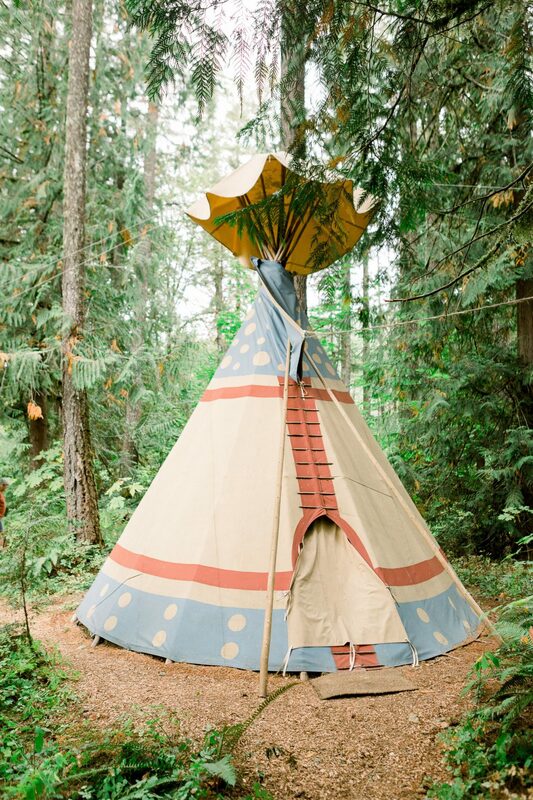 Located near Eugene, OR, the Tipi Village Retreat offers a unique glamping experience with fully furnished tipis outside as well as master bedroom suite in the main house. The Tipi Village Retreat also provides a wonderful breakfast next to the creek or on the patio. 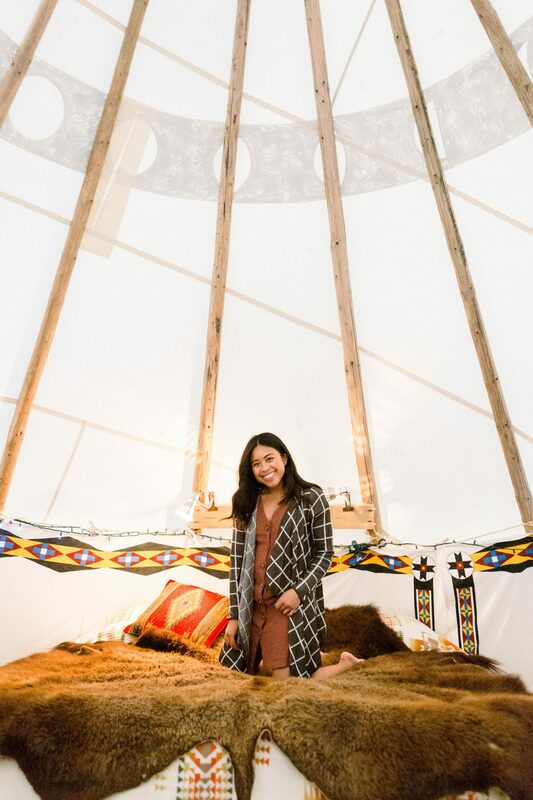 The Tipi Village is great for groups, private parties, and families! One thing I really appreciated about the Tipi Village Resort is all of the history that came with our stay. Long before white settlers came to the Pacific Northwest and the United States, nations of Native American tribes lived in peace. 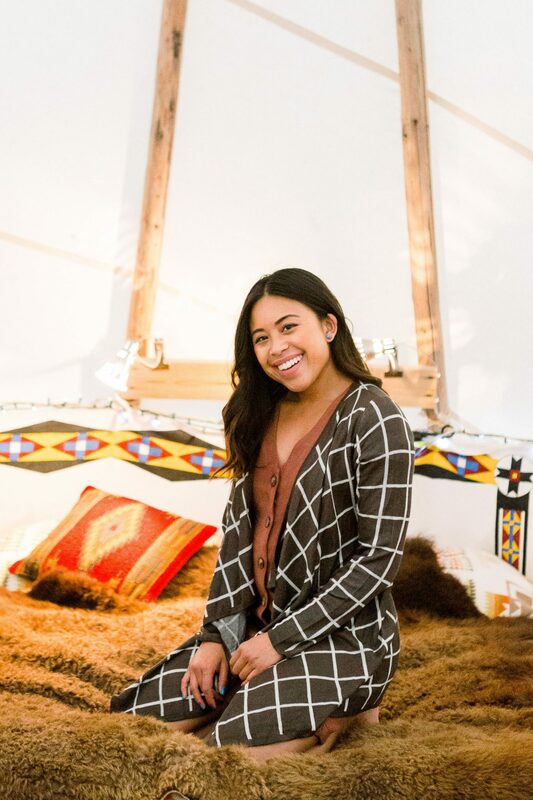 Chief Seattle, Sacagawea, and Chief Sitting Bull had incredible roles of Native American & United States history and all had tipis named after them in the Tipi Village Resort. Their sacrifices, loss, and the struggles of their tribes should be forgotten. 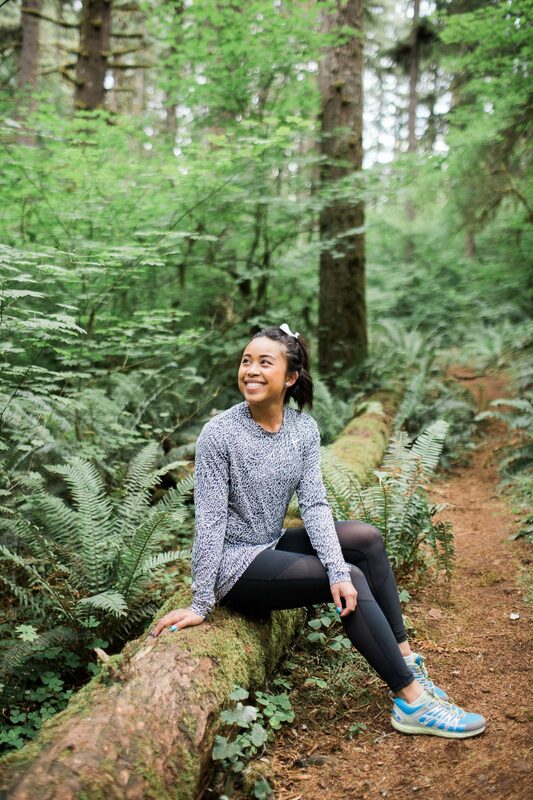 Hiking is one of my favorite things to do in the Pacific Northwest! 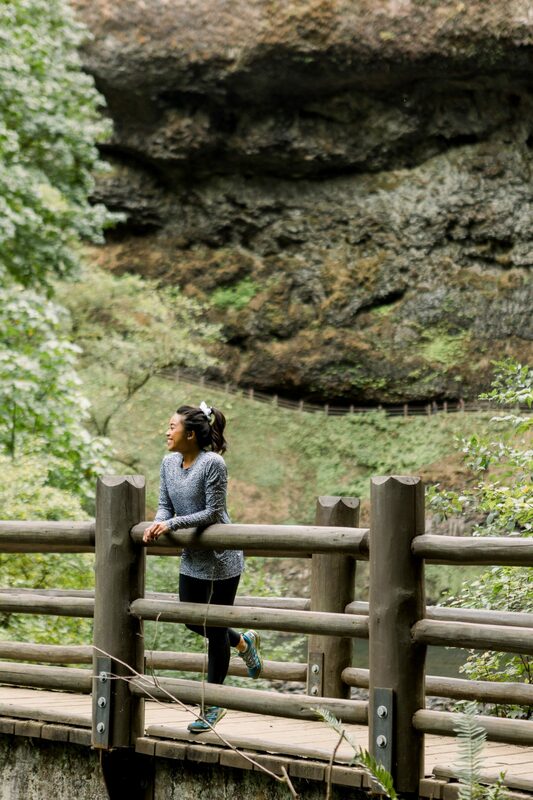 During our long weekend, we decided to hike Silver Falls State Park’s 2.6 mile loop. This hike was beautiful, family friendly, and also one of the easier trails I’ve been on. Spencer Butte Hike: Located near Eugene, the Spencer Butte Hike has amazing views of the Southern Willamette Valley and Eugene. This trail is about 1.4 miles and is a loop route. Proxy Falls: Located in the Willamette National Forest, the Proxy Falls Loop trail is 1.6 miles. The trail features a waterfall and is available from March – November. Triangulation Peak and Boca Cave Trail: If you’re looking for a little bit of a longer hike, the Triangulation Peak and Boca Cave Trail is 4.6 miles. Also located in the Willamette National Forest, the trail climbs to a 1,000+ feet elevation gain and is an out and back route. 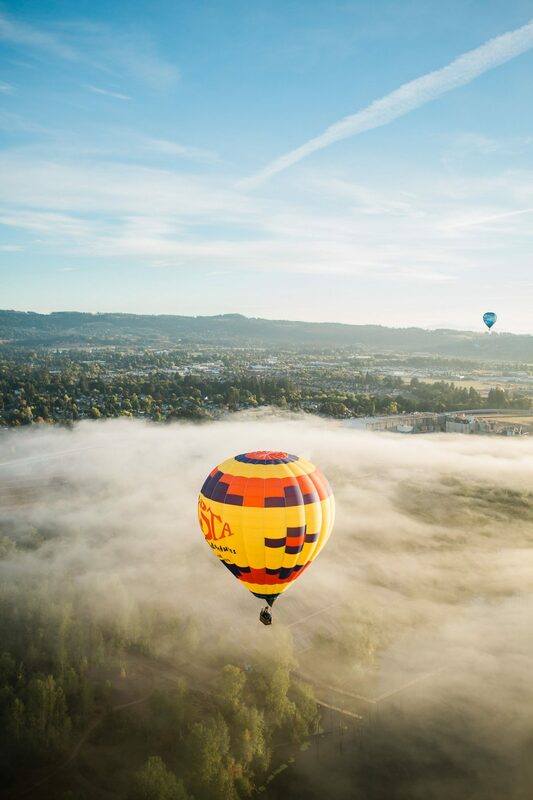 If you truly want unique, breathtaking views of the Willamette Valley, float through the skies on a hot air balloon. Even though we had to check in in Newberg (the launch site) at 6:30am, the entire experience was absolutely worth it. We got to see the baskets drive in, the balloons fill up with hot air, and then ultimately launch into the sky. Riding on a hot air balloon has been on the top of my bucket list for the last few years. The hot air balloon ride was the absolute highlight of my trip! 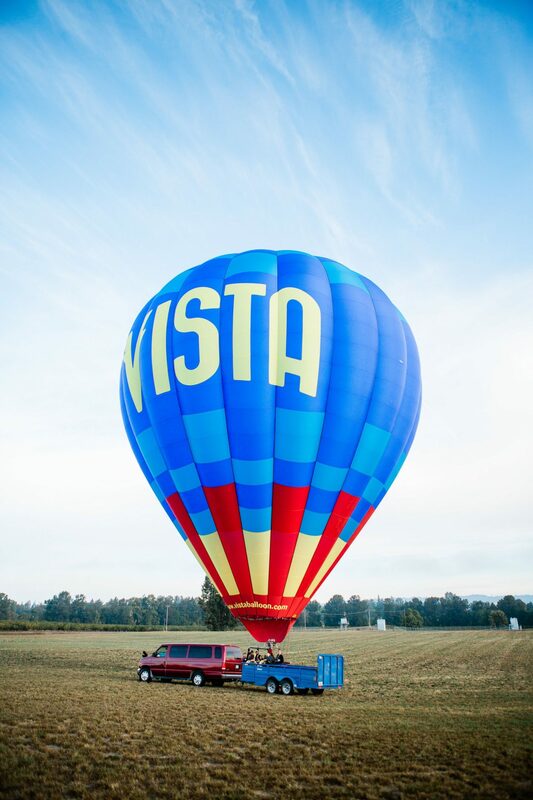 Thank you so much to Oregon Wine Country & the Willamette Valley for sponsoring this incredible experience with Vista Hot Air Balloon! The Oregon Wine Lab: Located in Eugene, the Oregon Wine L.A.B. is both a tasting room and urban winery. You can try out their own label called William Rose Wines or other pours from other local brands like 3 Acres, Spire Mountain Cellars, and Chouette Vineyards. The Oregon Wine L.A.B. also host Nang Vietnamese Eatery on their patio. Iris Vineyards: Resting on over 870 acres of land, Iris Vineyards is located in the South Willamette Valley. Iris Vineyards produces a mix of both white and red wines. You can book a Cork & Barrel Wine Tour for your party of 8. You’ll get to experience other local brands and businesses who’ve partnered with Iris Vineyards to make your wine tour an unforgettable experience. King Estate Winery: Founded in 1991, King Estate Winery grows Pinot Gris and Pinot Noir grapes and produces over 350,000 cases of wine each year. Additionally, King Estate Winery sits on over 30 acres of organic gardens and orchards. King Estate also founded their restaurant in 2006. The restaurant aims to enhance the wine experience with its gourmet menu and fine dining experience. If you’re staying near Springfield, OR, you should definitely check out George & Violet’s Steakhouse and the Public House. Is a classic American Steakhouse located in downtown Springfield. From the salad, to the steaks, and desserts, George & Violet’s Steakhouse has something delicious for everybody! Plus George & Violet source Oregon grass-fed beef. A former Christian Church turned eatery. If you’re looking for a beer hall, a whiskey bar, and something for lunch or dinner, you have to stop by the Public House! You can check out the food options in the Public House here. 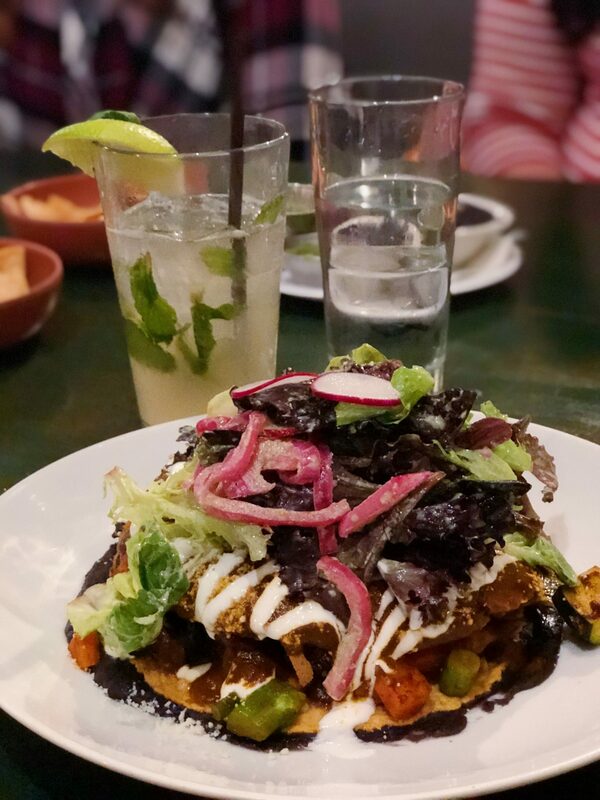 If you’re staying near McMinnville, you have to stop by Pura Vida Cocina. 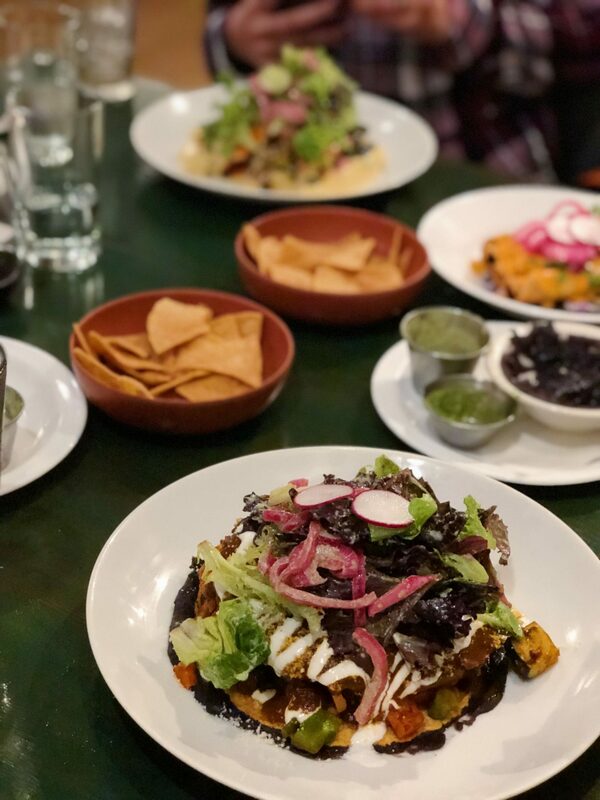 Pura Vida Cocina has amazing Mexican food. Their ingredients are sourced and produced locally and their portions for dinner are generous. There you have it friends! My first glamping trip in the Willamette Valley and hopefully it’s not my last! For more information about the Willamette Valley/Oregon Wine Country, visit their website! Are you ready to plan your next glamping trip in the Willamette Valley? Thank you again to Travel Oregon & Oregon Wine Country for sponsoring this incredible long weekend! And thank you to Ashley Cook for all the wonderful photos! 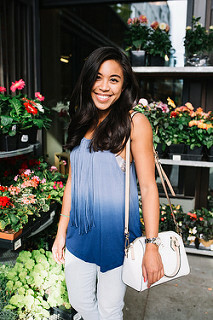 Love this post, lady! You look so awesome in all your photos! So happy you were able to knock off a bucket list item with the hot air balloon ride! It was so much fun spending the weekend with you!!! The hot air balloon ride was definitely a highlight for me too!